"High Catechin Concentrations Detected in Withania Somnifera (Ashwagandha) by High Performance Liquid Chromatography Analysis." BMC Complement Altern Med. 2011 Aug 19;11:65. Alam, N., et al. Universiti Sains Malaysia, Kubang Kerian, Kelantan, Malaysia. 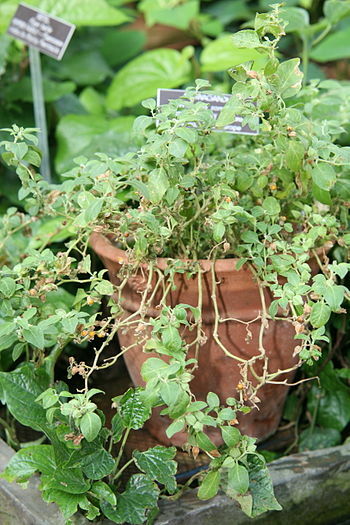 Ashwagandha (Withania somnifera) has long been used as a traditional medicinal plant in India for many problems. It is called Indian ginseng. Recent studies have shown that it is beneficial to the immune system and has antitumor effects. It is useful for arthritis, stress, and problems of aging. Abundant evidence indicates that free radical production and lipid peroxidation (oxidation of fats) are important in creating chronic diseases, such as atherosclerosis, cardiac and cerebral circulation problems, neurodegenerative diseases, cancer, diabetes, rheumatic disease, and problems of aging. Plant-source remedies for these problems contain vitamin E, vitamin C, polyphenols (phenols, flavonoids, catechins, procyanidins and anthocyanins). Examples are berries, skullcap, green tea, chokeberries and fava beans. This study was done to measure phenols and flavonoids in W. somnifera as a source of antioxidant activity. Antioxidant capacity was measured by a free radical-scavenging test. Plants were used which had grown for six months, then cleaned, dried and powdered for testing. Phenolic acids and flavonoids are parts of the total polyphenol content of plants. The test results indicate a strong correlation between polyphenol levels and antioxidant capacity. This study clearly identified phenolic and flavonoid compounds, as well as antioxidant activity in Ashwagandha plants. The leaves are high in antioxidants. Catechins (flavonoids found in green tea) were an important component. CONCLUSION: Ashwagandha (Withania somnifera) is an important herb from India containing polyphenols and having antioxidant activity. NOTE: Polyphenols are a major classification of organic chemicals. Phenolic acids and flavonoids are two major sub-classifications of polyphenols.